Neck bands or platysmal bands are vertical lines that run down from the chin to the chest area and they are not to be confused with horizontal lines, as the treatment is different. Why do I have neck bands? What is commonly referred to as neck bands, is a muscle called platysma. It is located immediately under the skin and can be visible or palpable when one stands in front of the mirror and tries to clench teeth or tighten jaw muscles. This muscle runs in the middle of the neck right under the chin, and as one ages, looses skin elasticity and volume, the muscle separates in the middle into two, left and right side, which produces that characteristic “cord” look. Cord appearance results from a combination of skin aging, loss of volume and loss of skin elasticity and their removal is aimed at correcting all of the factors contributing to its formation. What are currently available options to remove these bands? It is very important to find an experienced professional who can evaluate and examine the neck area thoroughly. Today, there is variety of options available, and sometimes it can be a combination of treatments. 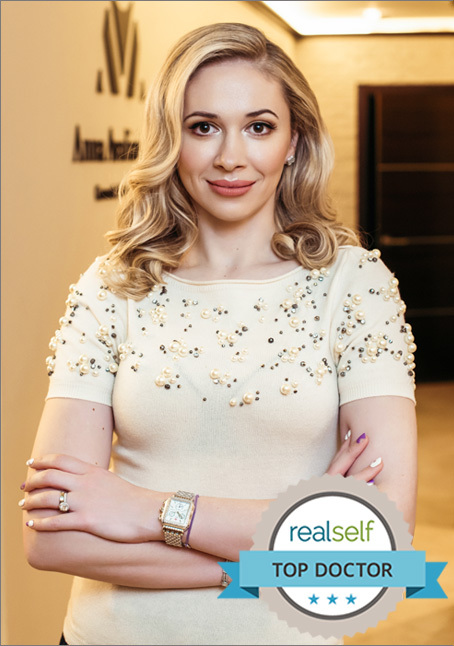 Dr. Avaliani will offer her expert opinion and recommend the best options that will help you achieve your desired look. She will offer her honest and non biased opinion, even if it means saying no and turning you down. It is all about setting the right expectations and having a great communication . What are the non invasive modalities to treat neck bands? Botox injections and Ultherapy Skin tightening. This option provides a great alternative to surgery, proving that you are a candidate for it. Having a consultation performed by an expert is a key. One must also understand that this is a noninvasive approach and the expectations must be set accordingly. Are there any permanent options to remove neck bands? The answer is yes and it involves surgery. If you are looking for immediate and drastic results, surgery is the answer. The current available options include lower face lift and platysmaplasty. However, not everyone is a candidate for surgery as anatomy of each individual varies. Can I get it done the same day? Yes, Botox® the treatment is simple and requires only about 15-20 min to perform. Ultherapy®, requires a separate visit , as it usually takes about 1-1.5 hours to complete this treatment session as according time slot must be allocated.